We all know I'm a sucker for pinks of all flavors. When I saw Amanda review Color Show Drops of Jade, she told me there was also a pink...which she wasn't touching. I decided I needed to keep my eye out for it. After two months, I finally found it! 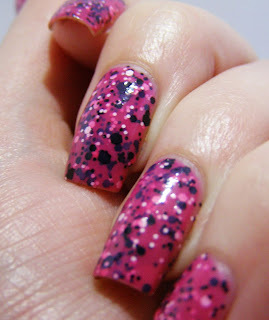 It's a lovely pink-fuchsia with black and white glitter. 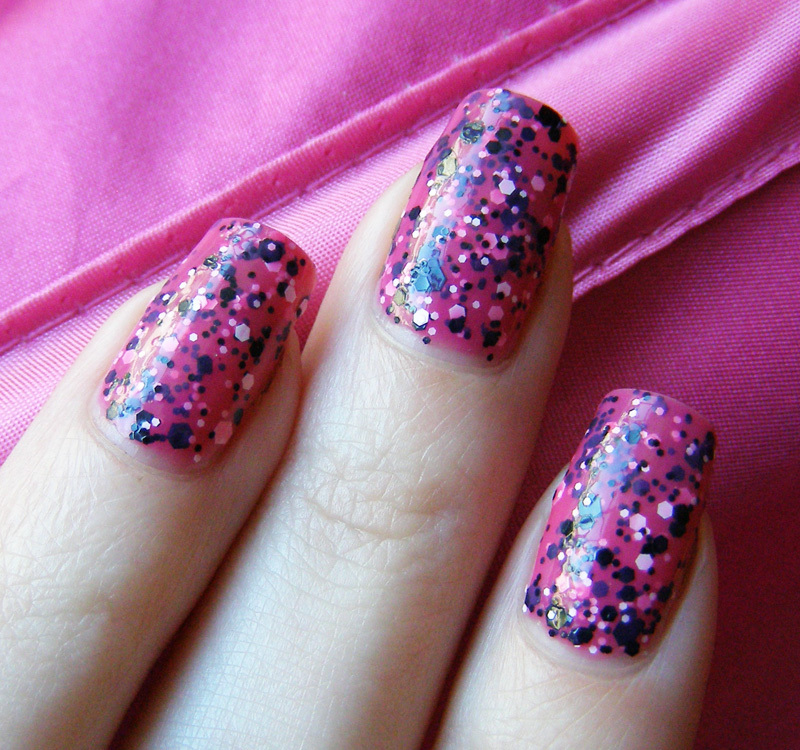 The base is quite thin, and I needed three thick coats to cover the nail line. Overall I'm pretty happy with this one. I only had to file the glitter on a few nails (I can't stand the itchy/scratchy spots). It was a little lumpy, and probably a good candidate for a coat of Gelous...yes I finally bought some. But I did this manicure in about 10 minutes, including the removal of my previous manicure. 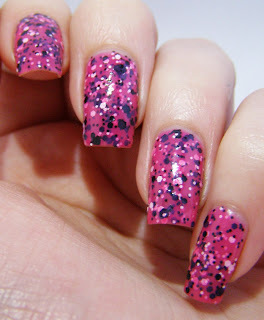 If you are in a time-crunch, this sort of polish is great. It's lively and fun, and easy to apply. natural light. It matched the play tent!